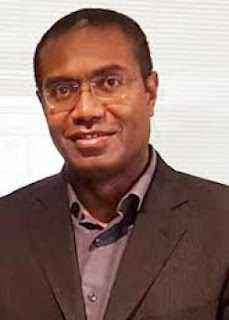 The Grand Coalition Group in Solomon Islands last night identified United Party Leader Peter Kenilorea Junior as its candidate for the position of Prime Minister. Grand Coalition members fully backed the new MP for East Are’are to contest the Prime Minister’s position on the same day the Governor General Sir Frank Kabui announced the date for the Prime Minister’s Election next week. In welcoming the decision, Kenilorea has reached out to all leaders to join the Grand Coalition to move the country forward to regain the confidence from the people towards the government. He appeals to the public to remain calm as national leaders go through the process of electing the country’s next Prime Minister. According to Kenilorea, he and his new colleagues have been given the opportunity to take the lead with the blessing of their senior, wise and veteran politicians in the Grand Coalition camp. Kenilorea in an early interview with Island Sun on his return after the election said it could a big honour for him with other capable leaders to be considered for the Prime Minister post. He said that is something he will not shy away from. His consideration by the Grand Coalition Group has gave him that honour. SIDP Party Wing Leader Mathew Wale in a press conference on Sunday night highlighted that the Grand Coalition Group will offers the real change in national vision, policy direction and leadership. He said a change of leadership that will stand for the interest of Solomon Islanders first. The Grand Coalition consist of Solomon Islands Democratic Party, United Democratic Party, Solomon Islands United Party and Party for Rural Advancement.